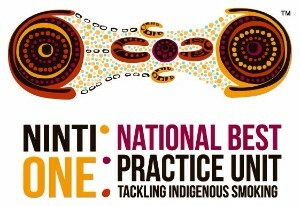 Welcome to the first update from the National Best Practice Unit for Tackling Indigenous Smoking (NBPU TIS). The NBPU TIS online resources are currently being finalised and will be launched in March. We will provide weekly updates to grant recipients in this format until the formal launch. Feel free to contact us as outlined below. Who is the NBPU TIS? A consortium led by Ninti One Ltd and including the Health Research Institute at the University of Canberra, the Australian Indigenous HealthInfonet based at Edith Cowan University, and the Smoking Research Unit at the University of Sydney is operating the NBPU TIS. Whatâ€™s happening at the NBPU TIS in February and March? Introductory visits to grant recipients to find out how the NBPU TIS can best support you to deliver effective tobacco control programs. Desley Thompson (Manager, NBPU TIS) and Kathy Ride (HealthInfoNet) and Penney Upton (Health Research Institute) will visit each grant recipient to discuss your program and how we can best support you to deliver it. These consultations will enable us to prioritise against your needs and will inform our workplan for the remainder of the year. We hope to start with visits to NT-based organisations in early February, and will contact each organization directly to arrange suitable times. Penney Upton (Health Research Institute) is drafting the first edition of the National Operational Guidelines for Tackling Indigenous Smoking. The NOGTIS is a compilation of evidence of what works in community settings, and how to interpret it for your own purposes. Part of the discussion during the introductory visits will be about the contents and the intent of the NOGTIS. We are developing a Tackling Indigenous Smoking portal on the Australian Indigenous HealthInfoNet as part of the Australian Indigenous Alcohol and Other Drugs Knowledge Centre which will house information specifically for the TIS program including the NOGTIS www.aodknowledgecentre.net.au. We will work with organisations who are submitting their TIS activity plans by 30 March 2016 to support them to incorporate recent evidence and robust performance indicators in their plans if they need help to do so. We will also start work with the organisations who have later submission dates for activity plans. A calendar of events will be circulated including the first national workshop to be held in Adelaide between 10-12 May 2016 (exact dates to be confirmed). We will start a regular eNews to let you know whatâ€™s happening and to introduce the members of our team. The Cultural and Indigenous Research Centre Australia (CIRCA) have been contracted by the Department of Health to conduct the evaluation of the TIS programme. The evaluation goes to June 2018. CIRCA are developing an evaluation framework in February and March, and will be contacting a few organisations in the next month to have a chat about the evaluation, to help guide the development of the framework.